Twelve postgraduate law students work together with academic staff and established law firms including McCullagh Wall, Ronan Daly Jermyn and O’Dowd Solicitors, responding to legal questions from startups, from protecting copyright to ensuring websites comply with data protection law. “The new IT Law Clinic at UCC provides a badly needed resource for fledgling technology startups in the region. Legal issues are unfortunately something that many startups avoid in their early days because of perceived cost and complexity issues,” said DC Cahalane, founder of BUILTINCORK, a community initiative to aid the development of Cork technology startups. “Free access to the expertise within UCC and local established law firms will be hugely beneficial in helping startups get started the right way. It’s another great example of how UCC is playing a powerful role in the development of the local technology ecosystem,” he added. The clinic’s co-directors, Dr Darius Whelan and Professor Maeve McDonagh from UCC’s School of Law, are aiming to bring together the talent within the Irish startup scene and the university. “Startups don’t have the funds to pay for expensive legal services, so by providing free information we save them that extra expense. We hope that this service will reduce legal barriers for innovative startups and drive startup growth,” said Professor McDonagh. 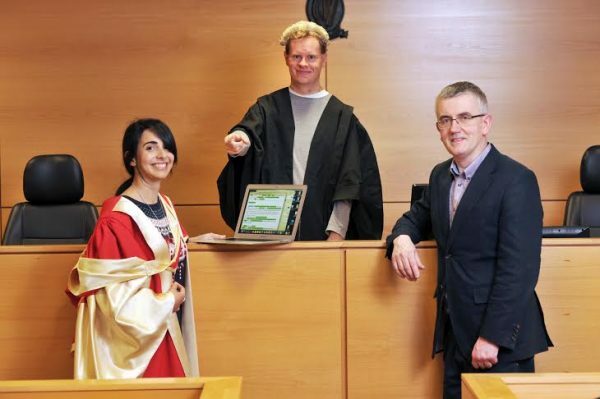 The IT Law Clinic at UCC, part of iLINC, the European Network of Law Incubators, collaborates with successful, established IT clinics in cities including Amsterdam, Hamburg and New York. “We saw that the model of free legal information for startups works really well in other countries and decided to apply that model in Ireland here at UCC,” McDonagh added. “Startups need help avoiding problems which can arise in complying with laws concerning data protection, selling online and copyright. The clinic can help them with free legal information in those crucial early stages of the business when pressing legal issues affecting the business need to be resolved,” Whelan commented. It is essential to get the initial structure of a company and the agreements between the shareholders set up correctly, according to Cian Hughes, General Manager of Wave2Wave Networks. Startups can contact the clinic on (021) 490 3452, itlawclinic@ucc.ie, or on Twitter @ITLawClinicUCC.